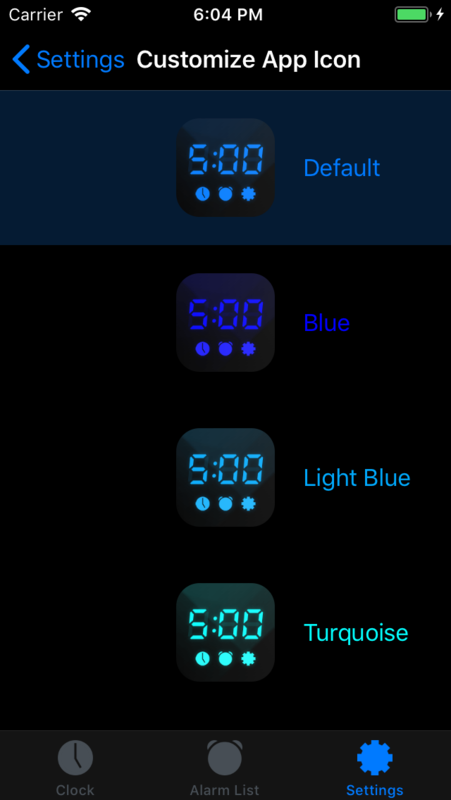 Alarm Clock Colors is your color changing alarm clock. Even the App Icon on the Home screen changes it's color! > Wake up to your own MUSIC. > Preset the music volume independently from other Apps. > Your clock on your bedside table. 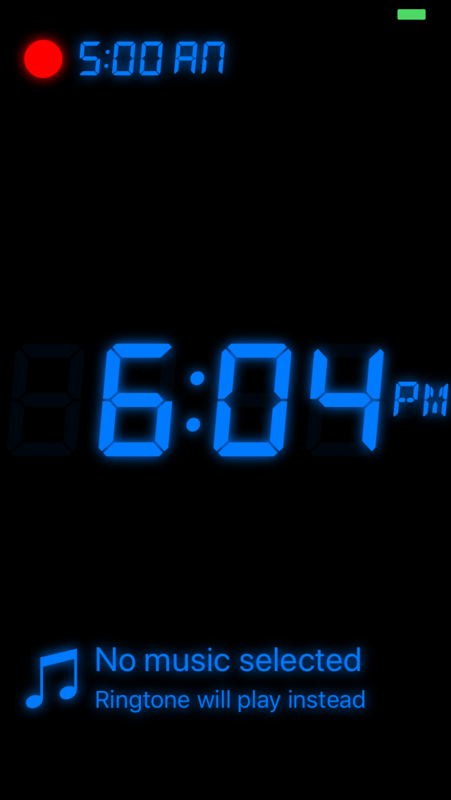 > Fullscreen digital watch face. 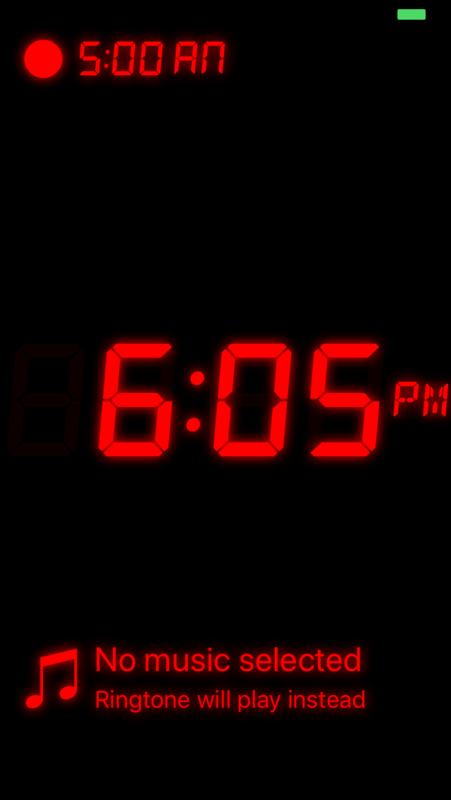 > Adjust the clock brightness. > Adjust the screen brightness. > Switch the screen off by turning the device face down. 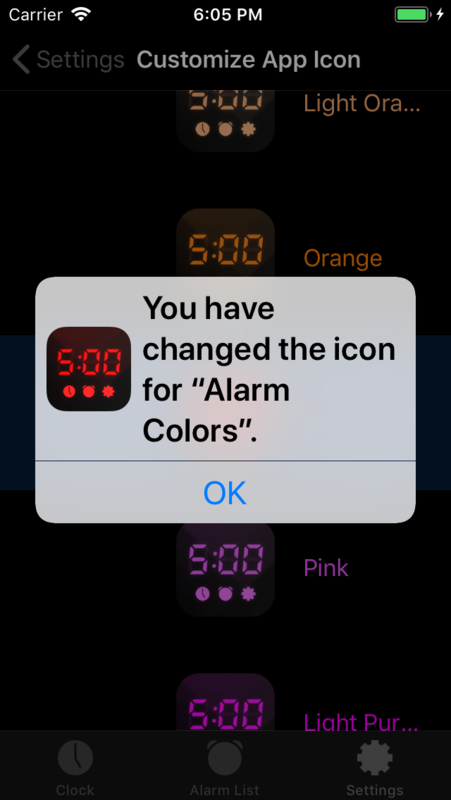 > See when the most current alarm will ring (optional). 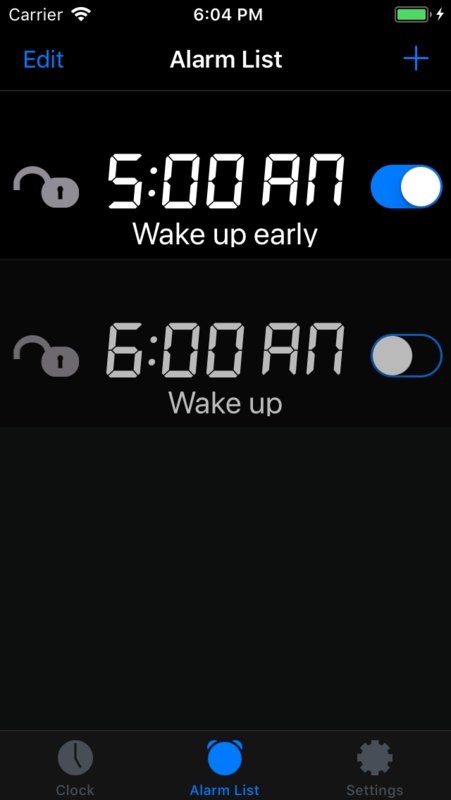 > Red dot indicating set alarm (optional). > See the music title that will wake you up (optional).